Yesterday we ascended Kinder Scout from it’s North East side and the vegetation was covered with dozens of Fox Moth caterpillars. We had to be careful to avoid treading on them. These caterpillars enjoy sunbathing and I think yesterday they were making the most of the autumn sunshine. 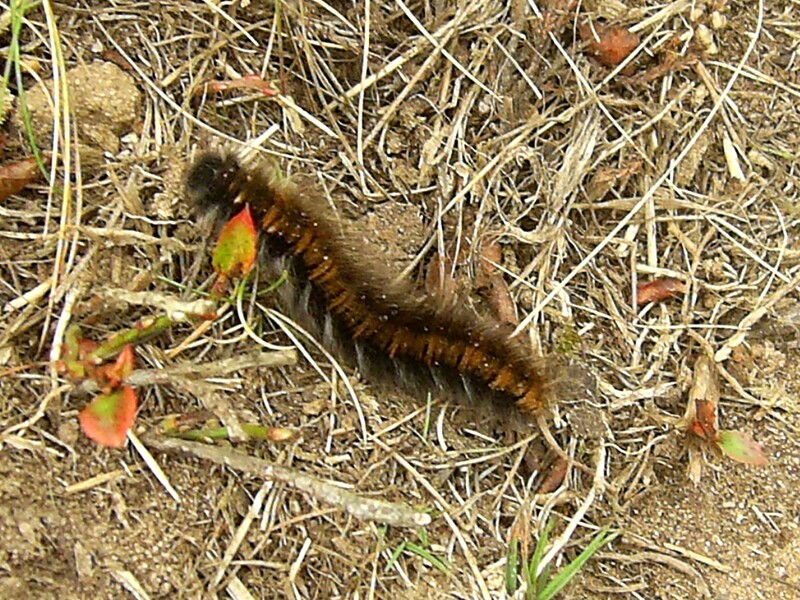 The Fox Moth lives on moorland and grassland, and the moth is a buff brown colour with two pale wavy stripes on each wing.